Radosław Lasota founded the company LIRA. At that time, the company operated mainly in the furniture and interior design. First contracts for complex equipment for hotels and private residences resulted in greater interest in the lighting market. After years, LIRA has become one of the largest distributors of the most luxurious Italian companies. That was only the beginning of the history of lighting. With the implementation of new contracts and the continuous development of the company, there was the thought of producing our own luminaires.t. Modern machinery, qualified staff, are unquestionable strengths of our company. Research and development department working on improving and implementation of new products contributes to strengthening our strong position in the lighting market. Comprehensive customer service, from electrical design, through professional support during the selection of luminaires and lighting calculations, to professional after-sales service makes us a responsible partner. In addition to modern machines for machining, we have our own powder paint shop so that we have control over the entire production process. 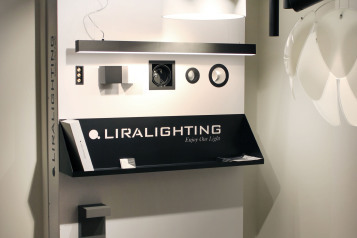 As one of the few lighting companies in Poland, we installed our own photometric laboratory. Many years of experience in building a distribution network has enabled us to launch the OFFICIAL DEALER program with extensive technical and marketing support for our most important partners. We have made further intensive expansion into foreign markets. We have started the construction of a new factory that will allow us to continue our production in one location. We finished the construction of factory which was co-finance with European Regional Developement as part of the Operational Program Intelligent Developement, 2014-2020, Action 3.2 Support for implementation of work results B+R, Subaction 3.2.1 Market research. 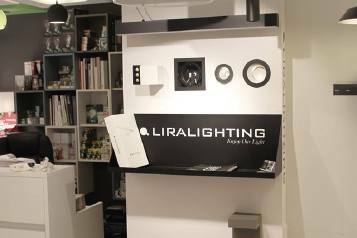 Our display at the next Official Dealer Liralighting - Cerpol Opole. 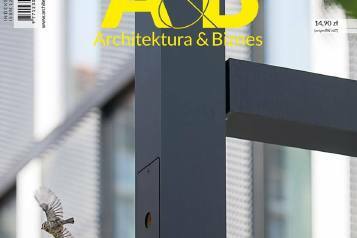 "Pregnant lamp" on the December cover of the prestigious Architecture & Business magazine designed by #Ultra_Architects.